The budget is the second largest in the country’s history. The extra money is destined for economy-boosting measures such as creating more jobs, upgrading Japan's ageing infrastructure, and rebuilding the areas that suffered from the March 2011 earthquake and tsunami. Shinzo Abe’s Liberal Democratic Party came to power last December with a promise to revive the world's third-largest economy that was in a deep recession, shrinking for a third consecutive quarter between October and December, due mostly to low export demand. 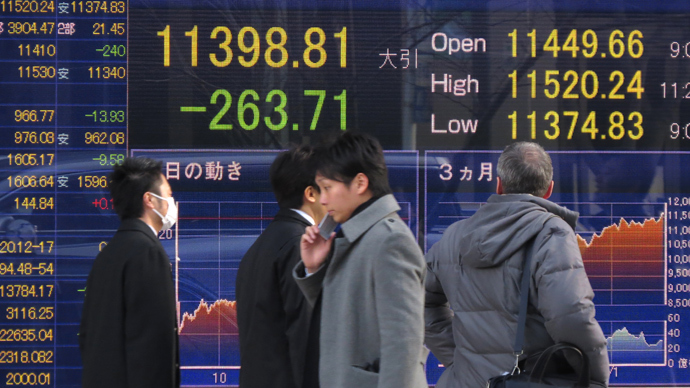 Another measure directed to bolster economic growth is intervening to weaken the yen. The yen has fallen in value over 20% since November, and slid this Monday to its lowest against the dollar since 2010 on eurozone concerns and speculation about who will be named the new chief of the Bank of Japan. At the end of last year, Japan's public debt reached a record of 983 trillion yen ($12.4 trillion), and by the end of the current fiscal year, which finishes on March 31, it could exceed a quadrillion yen (almost 11 trillion dollars), more than double the country's GDP. The largest supplementary budget was adopted in Japan in February 2009 amounting to 14.7 trillion yen (159.7 billion dollars), and was intended to protect the economy from the consequences of the global financial crisis.